Manipur: the land of Gandharvas! Manipur, being the home for a tradition of antiquity called Sanamahism and an oldest ethnic community called Metei, is known as the ‘Switzerland of East”. Imphal is the capital city. 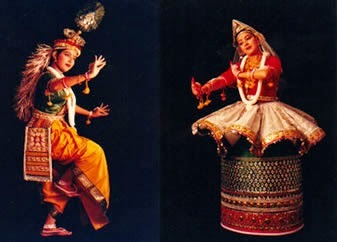 Manipur is the land of unique Metei culture representing unique dance style and sports traditions. The region is known for elegant dance styles, music tradition, martial arts and sculpture. The Rasalila dance with delicate and graceful movements is known to be inherited by Gandharvas. Pung Cholom, a group dance performed by playing a percussion instrument called Pung, is a dance form performed by male dancers. The state was founded in 1972. It is surrounded by three Indian states (Mizoram, Nagaland, Assam) and a foreign country (Myanmar). Manipur’s geographical terrain contains river valleys, and hills. The natural environment in Manipur has been undisturbed so far. The presence of AFSPA has been a matter of concern and you might have heard of Irom Sharmila the brave lady of Manipur who has been protesting against it. Manipur is connected well by Imphal Airport. The capital town is linked well to Delhi, Kolkata, Guwahati, Silichar and Agartala by air and roadways. If you are traveling by train, Dimapur in Nagaland would be the nearest destination. But, Dimapur is located at about 220 km from Imphal. Manipur hosts a 10 days cultural fest from 21st to 30th November every year. It is known as the Manipur Sangai Festival. Accommodation: Imphal city is the best place to stay. You would get plenty of hotels. If you want to check resorts in the interiors of Manipur, you would get of course. Cuisine: Staple food is rice along with leafy vegetables and fish. They use herbs and spices while preparing food. Serve in small banana leaf pouches. Ngari, Iromba, Chamfoot and Morok are some popular names of Manipuri dishes. Shopping: Go for Handloom articles, silk sarees, scarves, bamboo articles, ivory articles, shawls and jewellery. Bishnupur district: The popular tourist spot - Loktak Lake, a 14th century Vishnu temple, Keibul Lamjao National Park, INA memorial and the Loukoipat Lake. Loktak Lake is situated at about 48 km from Imphal. A tourist guest house attached with a cafeteria is there on an island called Sendra Island facing the lake. Imphal is divided into two districts: Imphal East and Imphal West. Imphal, the state capital is located in Imphal West district. Manipur State Museum, Shaheed Minar, Zoological garden, palace, Ima Market and the very famous Khonghampat Orchidarium are the main attraction in the district. The Orchidarium houses more than 100 orchid varieties. It is located on the outskirts of Imphal city. Senapati district: The district houses old villages belonging to age old Naga tribes. Yangkhullen and Makhel are the quite known among them. Mao, an oldest hill station is located in this district. Dzukou valley is the most popular tourist place in the Senapati district. With picturesque landscape and unique Lily flowers the valley attracts nature loving tourists. The valley is the home for the highest mountain peak in Manipur named, Manipur Mount. Sadhu Chiru Waterfall is also located in the same district. North-Eastern India is the less explored region in India compared to other parts of the nation. Lack of accessibility was the major concern for the tourists. But, now, the region is slowly opening up to nature enthusiasts. Though there are instances of separatist protests and agitations in a few parts of the region, tourists activities go on. However, it is better to update yourself before landing up there. North East India, as the name suggests, is located to the North-Eastern part of India bordering China (Southern Tibet), Bhutan, Bangladesh and Myanmar. The region consists of seven states: Arunachal Pradesh, Assam, Manipur, Meghalaya, Mizoram, Nagaland, and Tripura. Rich biodiversity, indigenous local cultures and picturesque landscape have made this region versatile and unique. Let us explore the tourism possibilities of each state within this region. There are two World Heritage Sites in the region and they are located in Assam: Kaziranga Wildlife Sanctuary and Manas Wildlife Sanctuary in Assam. 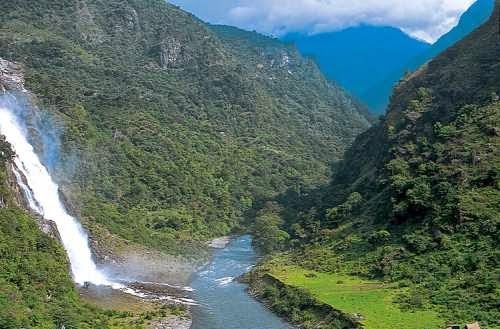 Known as ‘The land of Dawn lit Mountains’, the state of Arunachal Pradesh is located on the eastern most part of North Eastern India bordering China, Bhutan, Myanmar, Nagaland and Assam. Bound by the Himalayan Mountains in the north, the state is the home for exclusively rare variety of orchids. Hence it is also called the Orchid State of India. Culture of Arunachal Pradesh comprises indigenous tribes and Buddhist traditions mainly. Most of the tribal language belongs to Tibeto0Burman family, which is known as Tani language. Itanagar is the capital city. Buddhist Gompas occupy the larger section of state heritage sites and thus makes the state a destination for ‘Spiritual Tourism’. The Tawang Monastery is one of the important Buddhist sites in the entire India. Travellers need Inner Lane Permits to travel within the state. There are different travel circuits marked by the Tourism Authorities and the tourists will have to mention to which circuit they will be travelling. Travel locations within the state are spread out among five river valleys (the Kameng, the Subansiri, the Siang, the Lohit and the Tirap), lakes, Himalayan peaks and Himalayan forests. The climate depends upon the locations; freezing Greater Himalayas, cool Middle Himalayas or moderate lower Himalayas. Tawang Monastery: This 17th century Buddhist monastery is the largest in India located about 180 km from Bomdilla. It is situated at 10,000 ft altitude. Ziro: This is the headquarters of Lower Subansiri district. This town is known for community festivals hosted by the Apatani tribe. Malinathan temple, Rukmini Nagar, Parasuram Kund are associated with epics of India. Itanagar: the state capital houses archaeological sites. Ita Fort, Ganga lake, Jawaharlal Museum are main attractions. The state is not served by a proper airport. Airports in the Assam state are the nearest points for air travellers. By road, the state is connected to Tezpur of Assam. Soon it will be connected by a railway line Harmuti to Naharlagun. Stay in guest houses, lodges, private hotels and home stays. Wayanad region in Kerala is known for aboriginal tribal culture, paddy fields and rich forests. The region is not connected by rail network yet. It is situated in the southern tip of the Deccan Plateau bordering Karnataka and Tamil Nadu states. The region has been a district in the state of Tamil Nadu. The entire region comprising three Taluks has been chosen as one of the promising tourist spots under the Responsible Tourism project in Kerala. Kalpetta is the district headquarters. You can approach this region via Karnataka or Tamil Nadu. From Karnataka side, one can enter through Mysore and Coorg. Kozhikode in Kerala is the nearest major destination that is connected well by rail/road and airways. Kalpetta is at a distance of about 75 km from Kozhikode. Sultan Bathery is another main town in Wayanad having good connection. Speciality of this region is that it is tucked away in the wild forests of Western Ghats. The remoteness and less movement of population have created a distinct atmosphere in the entire region. You feel like exploring more. Winding Ghat sections, thick jungles, wild life, heritage spots and the local indigenous/un-disturbed tribal culture are really rewarding. Preservation and conservation of the local culture and environment has been the priority of Wayanad Tourism Organization. Chembra Peak, Neelima View Point, Meenmutty Falls, Chethalaym Falls, Brhamagiri Hills, Banasura Sagar Dam, Wayanad Wildlife Sanctuaries in Muthunga and Tholpetty, Sulthan Bahthery Jain Temple, Edakkal Caves, Wayanad Heritage Museum, Muniyara, Pazhassi Raja’s Tomb, Valliyoor Temple, Papanashini, Tirunelli, Pookote Lake, Sentinal Rock Falls, Sunrise Valley and phantom rock…huh! Innumerable spots you see. Many NGOs have joined hands in the preservation of local culture and have been providing market to locally grown products. Medicinal herbs, spices and handicrafts produced in this region are in great demand. Resorts and home stays overlooking Jungles and plantations are very popular among the tourists here. These home stays provide the experience of traditional homes of Kerala. Jungle resorts are typical of this region. The Responsible Tourism project in Thekkady was inaugurated in 2008. The intention behind this project was to provide a reliable market for the local products, and to ensure eco-friendly tourism in the region. Kerala state is a hotspot of Indian tourism. Destinations of diverse interests like beaches, ancient temples, backwater trail, houseboats, wildlife sanctuaries, hill stations and moreover the state offers peace full travel experience. Thekkady, which is known for Periyar Tiger Reserve is located in the Idukki district of Kerala. 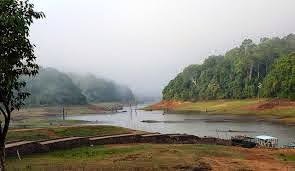 Idukki district itself is a major attraction comprising wildlife sanctuaries, hill stations, spice plantations, elephant rides and rich landscape. Thekkady is the gateway to enter the Periyar Reservoir which is famous for the Periyar Tiger Reserve. Thekkady is a small village showcasing the rich heritage of Kerala Culture. Timber cottages, eco-friendly resorts, home stays are available here for the tourists. Nearest railhead is Kottayam and the nearest airport is available at Madurai. However, ideal way to enter the place is to go via Munnar hill station. 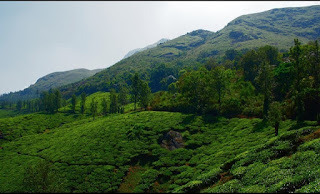 Munnar is situated at about 85 km. If you go in a private vehicle, you can reach within 2 hours. On the way, you can have a glance at spectacular spice plantations. Munnar is closer to Ernakulam Railway Station and Cochin International Airport is the nearest air base. So, you can cover Fort Kochi, Munnar and Tekkadi in one package. Spend a day at Thekkady to experience the village stay. You may have to buy tickets for entering Periyar Reserve at Thekkady. A jungle safari in the Periyar Reservoir is the main part of the Jungle Safari over there. You will get to see wild animals near the river. Actually the Tiger Reserve is located within an island surrounded by the Periyar Lake. So, you would be taking a round of the Periyar Lake. Boat mishaps have been reported recently, confirm with the locals before booking a boat ride. Visit nearby spice and coffee plantations; Murikkady is the nearest of all. Thekkady is also connected to Kodaikenal Hill station of Tamil Nadu. Kovalam, being one of the popular destinations in Kerala, is located at about 16 km from the state capital Trivandrum. Kerala Tourism has taken eco-friendly initiatives in Kovalam by launching ‘Beyond Beach’ project. Beyond Beach is an offshoot of the Responsible Tourism in Kerala. As we all know that Kovalam is best known for beach resorts. 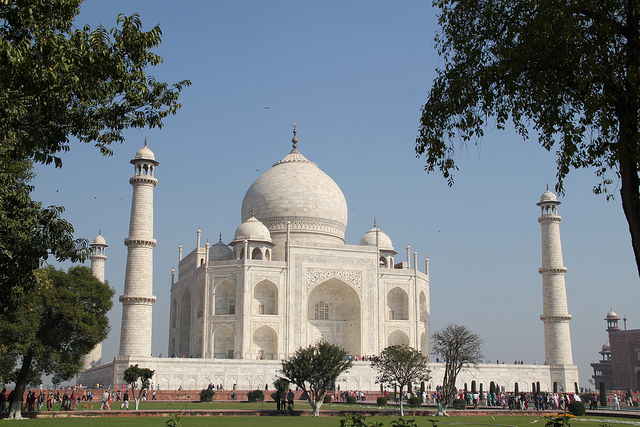 It is one of the oldest tourist attractions of India since the time of the British. ‘Beyond Beach’ programme offers a unique kind of experience to the traveller and it is mutually rewarding for both: the traveller and the local people. The intention is to develop community based awareness about the local culture and environment as to benefit both the host and the tourist. No matter whether you are a frequent visitor or a new comer, make sure to ask about this special service that is provided by the local guides. The guides would take you to explore the lesser known interiors of Kovalam and its village surroundings. Have a village life experience in Kovalam. 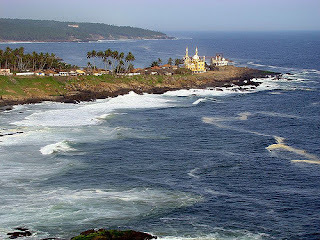 Trivandrum is the nearest destination to reach Kovalam by road, rail and airways. Hire taxis from Trivandrum to Kovalam. Beach resorts overlooking the sea are available. Kovalam is famous for its beaches. Three beaches constitute the 17km long coast line along the Arabian Sea. The Lighthouse beach is the most popular one. Surfing, Boat ride and motor boat ride services are available on the coast. Visit Vizhinjam, Poovar, Akkulam, and Agasthyarkoodam Peak if you get time. Kumarakonam shines like a jewel in the crown; it is the pride of backwater tourism in India. Stretched to the eastern side of the Vembanad Lake, Kumarakonam is also known to be an important destination in the emerging Responsible Tourism in India. Kumarakonam is a part of Kottayam district in Kerala situated besides the famous Vembanad Lake. The location can be called a cluster of villages nearby the Vembanad Lake. From Kottayam (15km), it is just 15 minutes drive. Kottayam is the nearest railhead and Cochin International Airport is the nearest (95 km) airport. Ferries are available from Allepy and Kochi. The Vembanad Lake in Kerala is the backbone of Backwater Tourism in that state. It is the longest lake in Kerala stretching between Kochi and Allepy. The lake is surrounded by Kotayam, Ernakulam and Alappuzha districts. Cluster of islands formed in the lake have become tourist spots. Six major rivers of Kerala merge into this lake. Fort Kochi lies on the north western side of the lake where as Kumarakonam is situated to the south eastern side. A salt water barrier has been built across the stream of the lake to avoid salt water flow into the lake. It is called the Thanneermukkom barrier and as a result one side of the hat barrier is a fresh water lake. Kumarakonam is a part of the fresh water lake side. Kumarakonam has made news recently by bagging the prestigious UN award for Sustainable Tourism. It is a part of Kerala’s Responsible Tourism project. The destination is known for backwater tourism, houseboats, and fishing. The place is the epitome of serene beauty by housing coconut groves on the either sides of the canals. Kumarakom Boat Race is a major event in the locality. Tourists like the place because the place provides luxurious resorts and houseboats. Wide ranges of houseboats overlooking the lake are available here. Visit Kumarakonam Bird sanctuary that is located near the Vembanad Lake. A Victorian Bungalow which is the present day Taj Garden Retreat, which was the home of Baker family is situated near the sanctuary. Back in time it was known as the Baker’s estate. If you have read Arundhati Roy’s The God of Small Things, the Aymanam village mentioned in the book resembles Kumarakonam. Best option would be to stay in a hired houseboat. It is an experience of a unique kind. You would get plenty of other options too. Lake view resorts, Home stays, eco-resorts, Villas, and budget hotels are available. Don’t forget to relish the local delicacies like Appam, Kappa, Karimeen (Pearl Spot fish) and varieties of seafood. Kerala Tourism has won the prestigious UN award for Excellence and Innovation in Tourism this year (2014). The award was conferred on 22nd of January, 2014. This is for the first time that an Indian organisation has been conferred with such an honour at the global level. The award is honoured by the United Nations World Tourism Organisation (UNWTO). While reading this news clip, I came across a catchy phrase called ‘Responsible Tourism’. It is for the excellent management of this ‘Responsible Tourism’ in Kumarakom the top honour has been given. So, I was curious to know more about Responsible Tourism. Responsible Tourism is an offshoot of Eco Tourism, which is also known as Sustainable Tourism. This project aims at creating awareness about eco-balance, conservation of local environment, respecting local culture and the project encourages more and more involvement by the local people by supporting the local economy. It is a team work involving both the host ad the guest. The project is making news globally and already a network involving major countries of the world has been formed. What is the role of India in this project? India, being a multi-cultural nation, is an important member of Responsible Tourism. Kerala has been a major contributor in this regard and the project was initiated in Kerala in the year 2008. 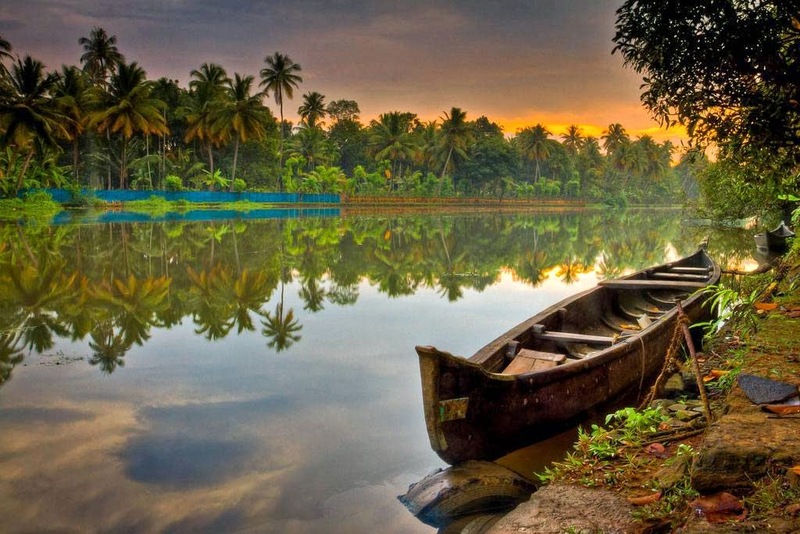 Kerala selected Kumarakom region as its field of work and today the destination is regarded as a model for Sustainable Tourism. Kumarakom project in Kerala has promoted local crafts and culture in the global scenario. Efforts have been made to co-ordinate among the natives by inviting the villagers, travel agencies, academicians, farmer groups, NGOs, local businessmen and leaders to join the network of responsible Tourism. Travel and hospitality sector of this project functions in an environment-friendly way. In a nutshell, the scope of Tourism has been expanded by making it responsible, socially and economically as to help the local people. Four destinations of Kerala state have been functioning on this project. They are Kumarakom, Kovalam, Thekkady and Waynad in Kerala. Won’t you be interested to explore the destinations mentioned above?! Delhi, the capital city of India, one of the happening and a major metro city. When we talk about Delhi, images running through our minds are Red Fort, Humayun’s tomb, Delhi gate which is seen in many Bollywood movies, Parliament of India, Rashtrapati Bhavan, Lotus temple and many more …. Being world’s second most populous city Delhi serves a home for many people situated there for earning their bread and butter. Many of the people tend to have weekend getaways from Delhi to nearby places which are very famous from tourist point of view too. These places are sure to add on your list when you are planning a trip to Delhi. 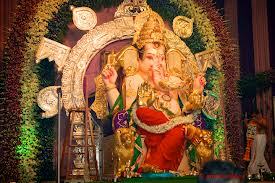 It is one of the important pilgrimage places in India. It is a birthplace of Lord Krishna. The holy city where you can plan a trip with you family and have a peaceful time. It is 145km away from Delhi. We get to see many temples here Dwarkashish temple, Iskon temple and also the museum like Mathura museum. We can reach there by bus or book cab from Delhi. 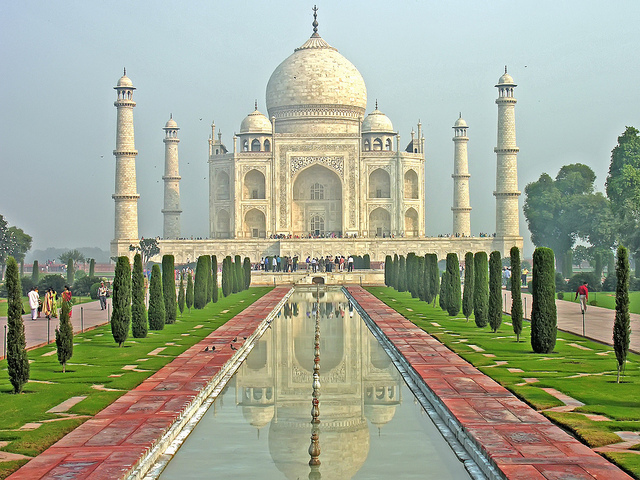 When we think of Agra we all know what we are talking about, the most beautiful monument which is a symbol of love, listed among the UNESCO world’s heritage sites, one among the seven wonders in the World. Usually when anyone who plans a trip to Delhi first time Agra is in their top of the list as add on sites other the main city. Designed near the bank of River Yamuna this breathtaking site embarks the different colors at different times. This can be a family trip spot as well as a romantic getaway for couples too. We can see foreigners roaming around here capturing the beauty of this symbol of love in their cameras. Agra is just 124km away from Delhi. We can go there according to our convenience as in by Bus or a hired cab. Agra fort is also must see spot near Delhi when you go to Agra. When you work really hard all the week generally nobody is in the mood to go to the heritage place; what you seek at that time of weekends is a relaxing outstation where you can go and a have a peaceful time with your loved ones. And hence Lansdowne tops the list here. It is a town in Puri Garwal in Uttaranchal. The cantonment town with zealous scenic beauty is 17000 ft. from the sea level. Adventure activities like trekking, boating, paddling and also bird watching attract the tourists over here. Lansdowne is 250 km from Delhi and once can reach there by bus but for convenience it is really advisable that one should either go by own private car or the best suited option is hire car. When you are already in Delhi or nearby Delhi this is a place one should at least visit once. 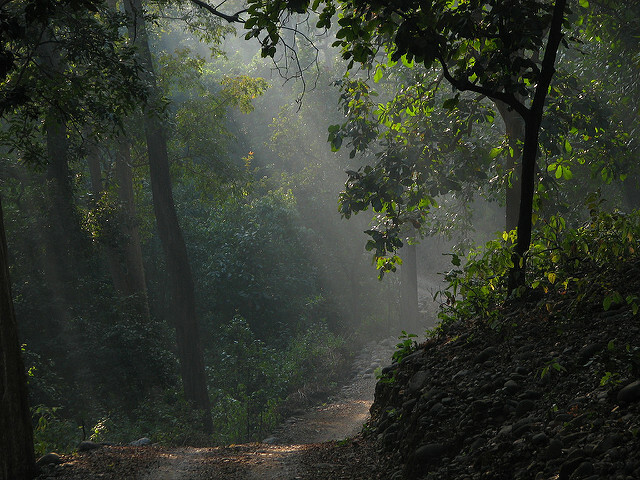 Jim Corbett being India’s first National park established in 1936 it is the world’s largest tiger reserve. This striped wild beauty blows your mind with its elegance and ferocity in looks at the same time. Jim Corbett is 295 km away from Delhi. A weekend trip or a small tour of 3-4 days is really good to go here from Delhi. These days tourism has realized the importance of this site and has been developed accordingly vastly with beautiful, luxurious resorts like Corbett getaway spa and resort. 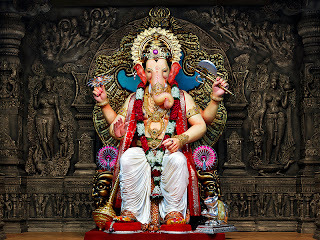 Ganesh Chathurthi or also called as Vinayak Chaturthi one of the most celebrated festival with full of devotion and enthusiasm in India specially in Mumbai. 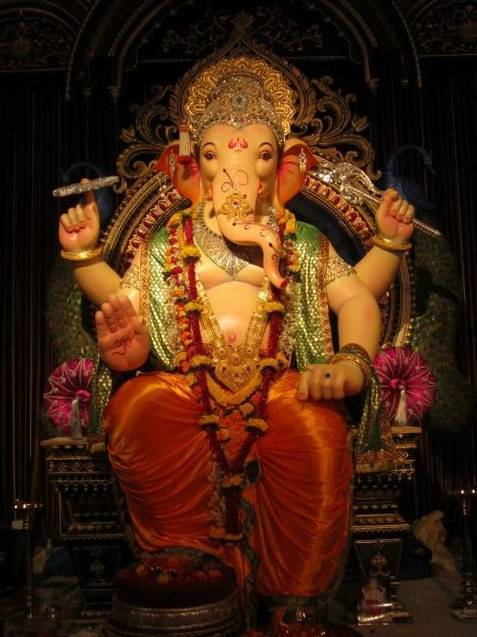 Now Mumbai gear up for celebrate awaited 10 days Ganesh festival. This festival comes every year in between the month of August and September. 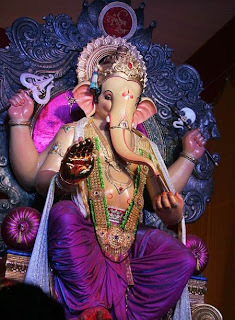 Thousands of devotees throng the Ganesh temples of the city to offers their pray to Lord Ganesha God of wisdom and prosperity. Here is iconic Ganesha idols of Mumbai to experience this splendid festival. 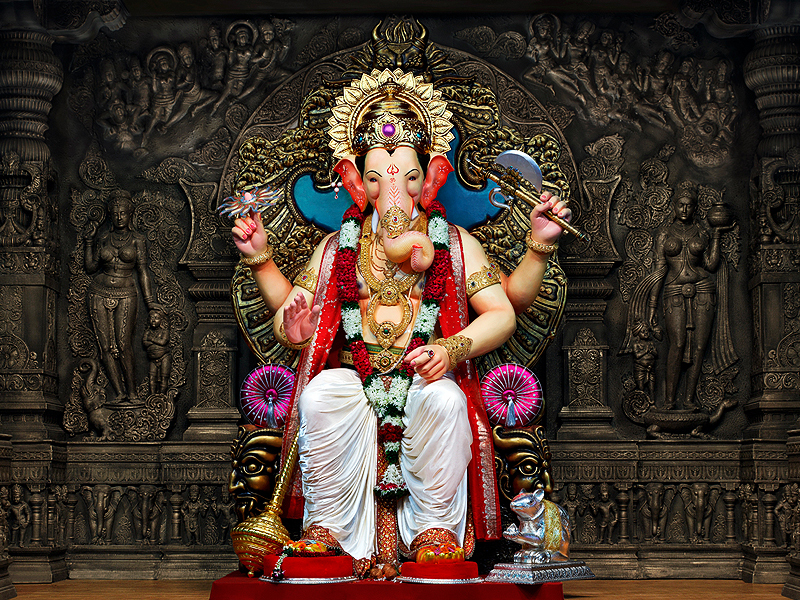 Clear Car Rental wishing you all Happy Ganesh Festival and may this festival bring health, wealth, wisdom, prosperity and good fortune. India is popularly known for its natural beauty and Monsoon is the perfect time to see this beauty. There are many picturesque places in India all of you might have heard/visited in north side of India like Shimla, Kullu-manali, Jammu-Kashmir. Shoja is one of the tourists attraction in North India. Shoja is conspicuously attractive place and is developing as tourist center in the State. The climate in this area is very enjoyable and peaceful in monsoon. Shoja is small town located in Kullu district, Himachal Pradesh and 70km away from Kullu city. Shoja is basically situated in Seraj Valley/Great Himalayan National Park. Shoja is 522 km away from delhi. Firstly in 1963 Kullu was declared as part of Punjab. In November 1966, Kullu moved from Punjab to Himachal Pradesh as separate district. Lately Shoja was developed by Himachal Pradesh Tourism and identified as a Tourist spot. The best time to visit Shoja is during Summer (April-June) and Monsoon (July-September). During Summer the temperature doesn’t go above 30 degrees and below 5 degrees. In a day time there is pleasent atmosphere and night is a bit cold in summer. During monsoon moderate Rainfall is there so you can travel around places and enjoy Rain. Snowfall is there in this region in October, November, December. Often during this period Landslides take place, are unpredictable hence it is suggested not to visit Shoja during this season. The most fascinating thing about Shoja is it brings us very close to nature. One can walk to explore beautiful places around Shoja or one can take pathway to the jungle. Nature lovers will enjoy the wooded hill slopes at Shoja. In Summer you will find Blue Iris, Rhododendron Flower on the road sides. Himalayan Musk Deer is one of the popular species of deer you will able to see in Shoja. Waterfall Point is another attraction in Shoja to refresh yourself. It is just a mile away from Shoja. It is popularly known for its Robust Metal Road. Jalori pass is just 5km away from Shoja and It connects Shimla with Kullu district.Jalori pass is one of the famous mountain in Himachal Pradesh. It is adventure spot famous for trekking and other mountain sports. From jalori pass you can take a walk towards another Fascinating place i.e Raghupur Fort. Raghupur Fort was built by Kulu King at an altitude of 3540 m above sea level. Once you reached highest point of Raghupur fort you can see 360 degree view of Himalayas, Dhauladhar and Kinnaur ranges. Another Stroll which is 6km away from Jalori Pass is Serolsar Lake. This lake is small in size but its water is as clear as crystal. 'Buddhi Nagin' temple is just near to Serolsar lake. Buddhi Nagin is called as mother of 60 ‘Nag Devatas’ in Himachal. It is also located in seraj valley. thanedar is amazingly beautiful place, it is also called as orchard town. Thanedar is also called as birthplace of apples in india. Shoja to Thanedar takes 3 hours time. Gushaini is 30 km away from Shoja. Gushaini is located in Tirthan Valley in Kullu. National Park is a good place for Trekking and Rock Climbing in gushaini. It is approximately at 210 km distance from Shoja. Kinnaur is towards northeast corner of Himachal Pradesh. Three mountains ranges i.e. Zanskar, Greater Himalayas and Dhauladhar are awesomely beautiful mountains ranges are there in Kinnaur enclosing valley of Sutlej, Spiti, Baspa, these valleys are Strikingly Beautiful. Kuchaman, well known for its Shekhavati style Havelis, is city in Nagaur district of the state of Rajasthan, India. 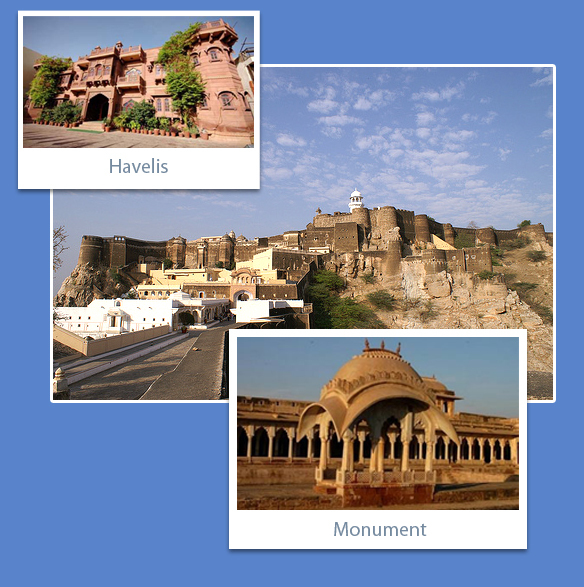 Many historical monuments make it one of the most popular tourist destinations in Rajasthan. It is mainly popular for its Kuchaman Fort which is the prime attraction of the tourists. Temperature of it reaches up to 48 c in summer while winter is cool and best time to visit. Places of interest: Kuchaman houses many places worth visiting. Most prominent place of attraction of Kuchaman is it’s fort known as Kuchaman Fort. The fort is situated at the top of 1000 feet high cliff. The fort is now heritage hotel but still it allows visitors to watch many beautiful palaces and Mahals in the fort. It also displays the collection of interior designs made of semi precious stones, glass and gold paint. Meera Mahal is another monument which attracts many tourists. The Mahal has miniature paintings about the life of Saint Meera. Saint Meera was passionate devotee of Lord Krishna. Jal Mahal was built to provide queens and princes a hidden swimming pool. It is pool built underground and it looks royal in every aspects. Sabha Prakash and Sunehari Mahal are some of the other attractions of Kuchaman Fort. Krishna Mandir is old temple built about 200 year ago. It houses the idol of Lord Krishna made of eight mettles. Maa Kaali Mandir is another place of interest in Kuchaman. It was brought from Karnataka as war trophy as it was the way of those days. The temple is about 1200 year old. 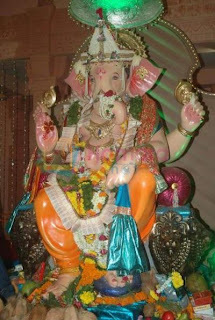 Ganesh Dungri is Ganesh temple built during the rule of raja Hari Singh. It is situated in elevated Dungri hills near Kuchaman. At 3km south of Kuchaman there situates Shakambhri Hill. Shaktipeeth Shakumbhri is situated near the hills. This temple is believed to be built by Raja Pratap Singh. A famous Shakumbri fair is also organized here twice in year. You can get down at Bikaner railway station as it is closest one to Kuchaman. It is about 115km away and well liked to other cities and towns of the state. There are many state run buses and other private vehicles like cars and luxury buses available from other cities and town to reach here. Sanganer Airport at Jaipur is closest to Kuchaman and it is well linked by several domestic flights to other major cities of the country. People of Kuchaman celebrate many religious festivals like Janmasthmi Utsav, Ganesh Chaturthi, Holi, Dussera etc. Many hotels have the facility of accommodation for the tourists according to varying budgets of visitors; all the same they provide basic facility of accommodation.